Our first glimpse at the first Phase 3 movie and it looks like Bucky is the catalyst to split our favourite heroes up. Much as I’m excited by this I really don’t like the idea of my heroes fighting each other, can’t they just stay friends?!!! I liked the twist on this humanoid’s nature, though as a Welshman I’m disappointed I didn’t pick up on the rather obvious name. I think after the initial reveal thee menace disappeared a bit as the villain turned into just some snakes. Colony Sarff was an agent of Davros and his head of personal security, performing tasks unsuitable to a standard Dalek. A colony of snakelike creatures, equipped with a nose, eyes and ears on separate snakes to form the illusion of a humanoid face. 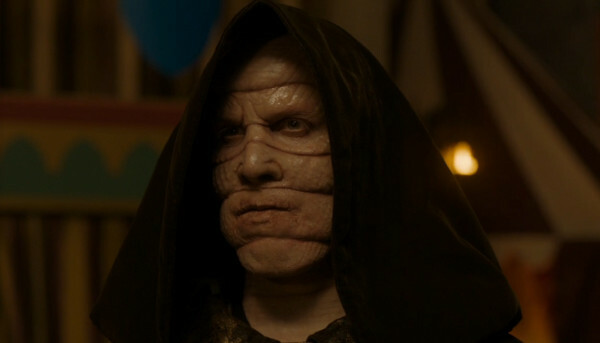 It is likely he was genetically engineered by Davros. At the moment in Destiny there is a seasonal event on called the Festival of the Lost. I quite like the idea of a fun event, it reminds me of playing The Matrix Online and the cool holiday events they put on. The whole city participates in the event, which commemorates those that have been lost in a celebration of life. 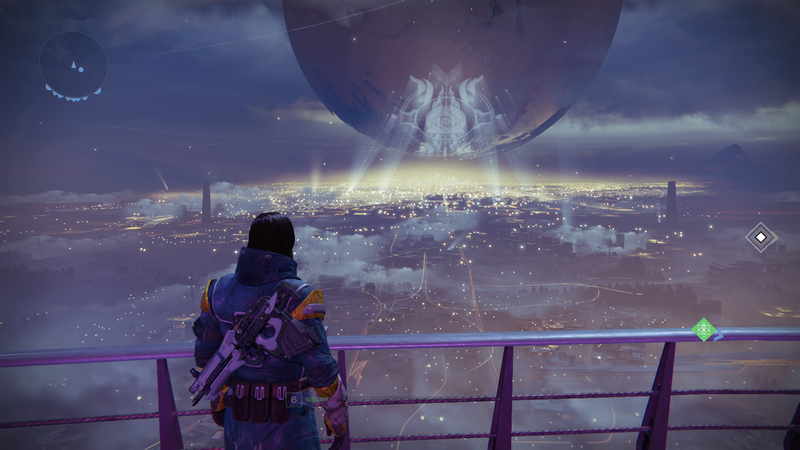 The festival symbol is projected onto the Traveller for all to see. The Tower is not exempt from the celebration; candles, banners and lanterns adorn the tower. While not all enjoy the festivities (try asking Eris Morn for candy!!) the festival has special significance for Guardians as they can honour the people they once were before being given new life by the Traveller. 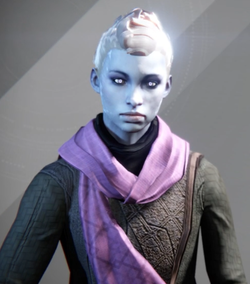 Eva is the Tower’s outfitter, providing ways for Guardians to customers to customise their appearance by selling custom emblems they can display and shaders to modify the colour of their armour. 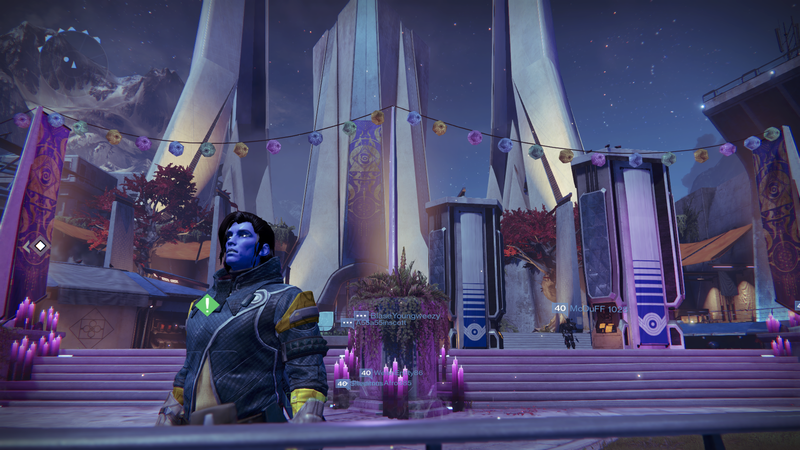 Eva coordinates the Festival in the Tower, providing themed masks for Guardians to wear. Eva gives challenges for Guardians to complete to earn more masks, from collecting candy to completing missions while wearing a holiday mask. Tess was in charge of Special Orders for the Tower, delivering rewards to Guardians from the Vanguard. 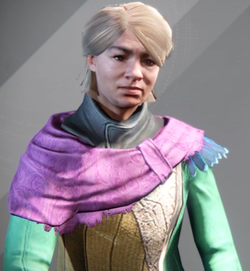 Tess has since set up her own company Eververse which teaches pre-Golden Age mannerisms and dances to Guardians in exchange for a rare currency known as Silver. Eververse sell special dances and moves for the festival and will give holiday masks and bags in exchange for Silver.